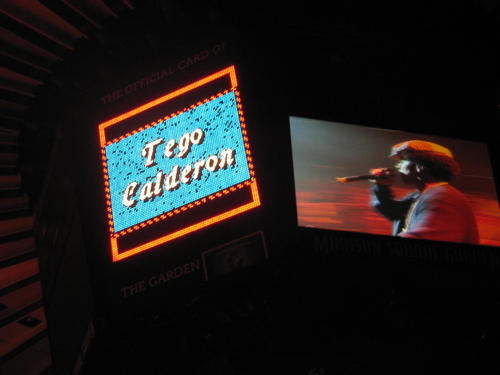 Tego was the only performer at Megaton with hip-hop beats (primarily), no dancers and a Fat Albert hat. (Not all good things, necessarily.) Ivy Queen ripped it, Pharrell joined Daddy Yankee for "Drop It" and many male duos appeared, Angel y Khriz perhaps best among them. Puerto Ricans love Don Omar and anyone who can say the words "Puerto Rico" really loud. If you, the performer, could say these words but did not have a Puerto Rican flag, one was supplied for you.